North Coast Congressman Jared Huffman issued a statement this afternoon blasting President Donald Trump's "erratic, inconsistent and unilateral actions" and his decision to launch airstrikes on Syria last night. In response to a chemical weapons attack reportedly launched by the Syrian government that killed more than 80 people on Tuesday, Trump authorized the firing of 59 missiles at the Syrian air base from which the chemical weapons attack was reportedly launched. According to the Syrian government, the missile strike killed 15 people. In the lengthy statement, Huffman makes plain that he is appalled by the "atrocities" committed by Syrian President Bashar Al-Assad but argues Trump should have come to Congress for approval before taking unilateral military action. Further, Huffman argues the air strike has left the world confused as to where the United States actually stands. "Because within a matter of days, our President has careened from signaling a quasi-isolationist 'America First' policy that turns a blind eye to moral and humanitarian issues, to launching a military attack on Syria for humanitarian violations when our national security was not at risk," Huffman states. In closing, Huffman asks congressional leaders to immediately reconvene the House and the Senate for a debate and vote on whether to authorize military force. See Huffman's full statement copied below. “Like most Americans, I am appalled by atrocities Syrian President Bashar Al-Assad has been committing against his own people, including his recent use of banned chemical weapons which killed dozens of innocent men, women, and children. The United States should lead the world in holding the Assad regime, and its Russian enablers, accountable for war crimes through established international channels. However, I do not support President Trump’s decision last night to unilaterally launch missile attacks on Syria without congressional approval. Congress’ approval of using military force is not only required by the Constitution; it is necessary to ensure that the President’s proposed military actions are appropriate, legitimate, and narrowly focused to prevent drawing us into a military quagmire or escalating the sectarian conflict in Syria into a broader regional war. While many in Congress and the media will praise last night’s missile strikes as a show of strength and resolve, I see it differently. Launching a missile attack may be good for ratings in the short-term, but it is no substitute for a coherent policy and strategic vision. President Trump’s actions leave us with far more questions than answers about our role in Syria. Our friends and foes alike are confused as to where the U.S. actually stands. Because within a matter of days, our President has careened from signaling a quasi-isolationist “America First” policy that turns a blind eye to moral and humanitarian issues, to launching a military attack on Syria for humanitarian violations when our national security was not at risk. 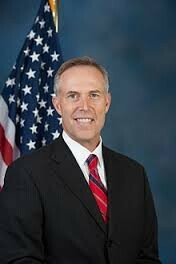 In the past, Rep. Huffman has also called on President Obama to consult Congress before the use of military force.